Leading cosmetic brand Maybelline New York announced today that Mexican beauty Daniela de Jesus has been signed to the brand as a spokeswoman. “Maybelline New York is delighted to have Daniela with us, representing the positive spirit, cosmopolitan energy, and fashion edge of the brand,” said Damien Bertrand, Global Brand President of Maybelline New York. Born in La Paz, Mexico, Daniela was discovered and signed to Major Model Management in 2005 after participating in her country’s national beauty pageant, Nuestra Belleza Mexico. Since then, Daniela has walked the runway for Jean Paul Gaultier, Giambattista Valli, Vivienne Westwood, Marchesa, Mara Hoffman, Betsey Johnson, and Alexandre Vauthier, among others. She has been featured in advertising campaigns for Emporio Armani, Victoria’s Secret, Ralph Lauren Fragrances, and Guess. Daniela will make her Maybelline New York debut in print and television advertising campaigns in late 2013. Maybelline New York cosmetics are available in over 100 countries. 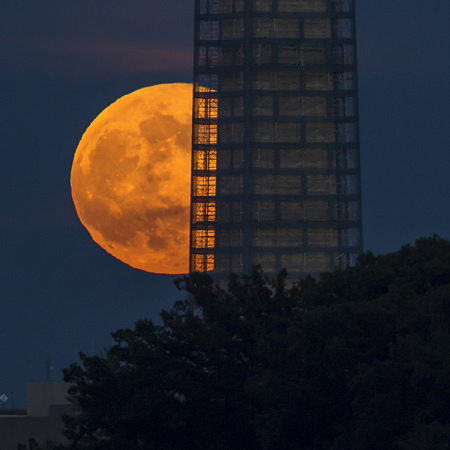 Photo: A supermoon rises behind the Washington Monument, Sunday, June 23, 2013, in Washington. This year the Supermoon is up to 13.5% larger and 30% brighter than a typical Full Moon is. This is a result of the Moon reaching its perigee - the closest that it gets to the Earth during the course of its orbit. Photo Credit: NASA/Bill Ingalls. Photo: ECOSOC 2013. 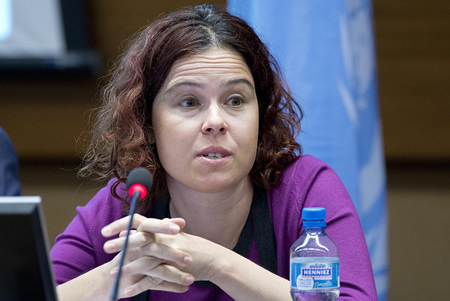 Zeynep Ozbil, Director of Corporate Citizenship, TurkCell, at a side event on “Private-Sector Partnerships in Preparedness and Humanitarian Response” during the United Nations Economic and Social Council (ECOSOC). 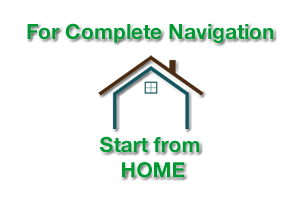 Tuesday July 16, 2013. Photo by Jean-Marc Ferre. 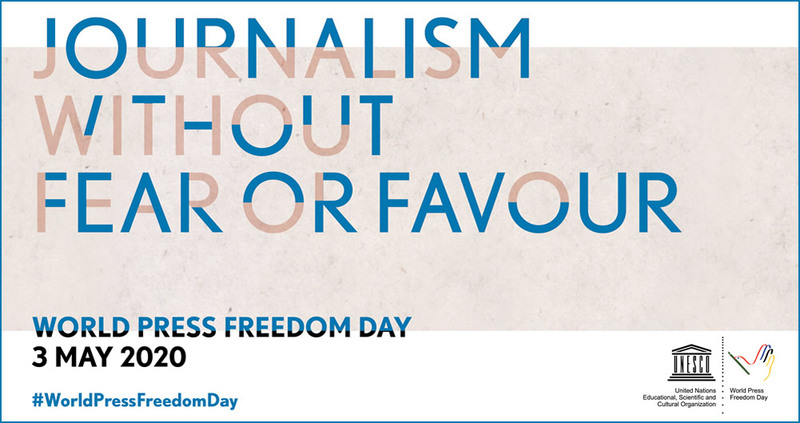 United Nations, Geneva Office. Photo: ECOSOC 2013. A close-up during the United Nations Economic and Social Council (ECOSOC) High-level Segment substantive session. Wednesday July 3, 2013. Photo by Jean-Marc Ferre. United Nations, Geneva Office. Photo: ECOSOC 2013. 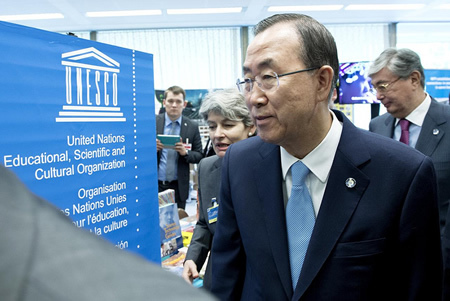 Secretary-General Ban Ki-moon during the opening of the Innovation Fair. Monday July 1, 2013. Photo by Jean-Marc Ferre. United Nations, Geneva Office. Photo: ECOSOC 2013. Elizabeth Cousens, Representative of the United States to the Economic and Social Council, during the United Nations Economic and Social Council (ECOSOC) High-level Segment substantive session. Wednesday July 3, 2013. Photo by Jean-Marc Ferre. United Nations, Geneva Office. Photo: ECOSOC 2013. 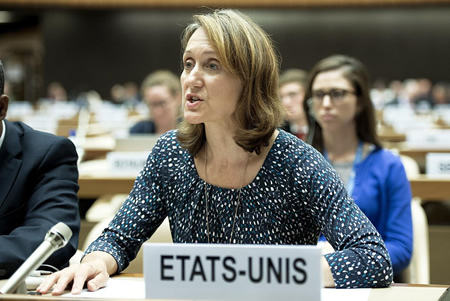 Berna Kasnakli, Counsellor, Permanent Mission of Turkey to the United Nations Office at Geneva, during the United Nations Economic and Social Council (ECOSOC) High-level Segment substantive session. Thursday July 4, 2013. Photo by Jean-Marc Ferre. United Nations, Geneva Office. Photo: ECOSOC 2013. 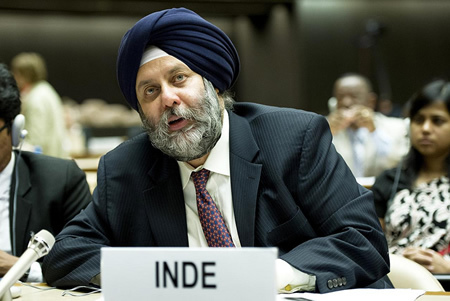 Manjeev Singh Puri, Deputy Permanent Representative of India to the United Nations in New York, during the United Nations Economic and Social Council (ECOSOC) High-level Segment substantive session. Wednesday July 3, 2013. Photo by Jean-Marc Ferre. United Nations, Geneva Office. Photo: ECOSOC 2013. Press conference of the President of Colombia. 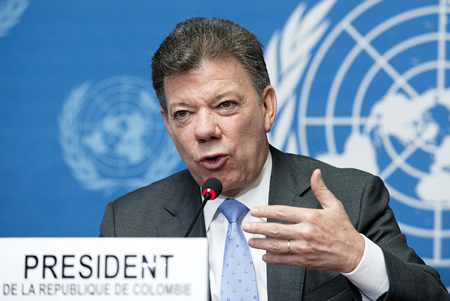 Juan Manuel Santos Calderon, President of the Republic of Colombia during the press conference. Wednesday July 3, 2013. Photo by Jean-Marc Ferre. United Nations, Geneva Office. Photo: ECOSOC 2013. 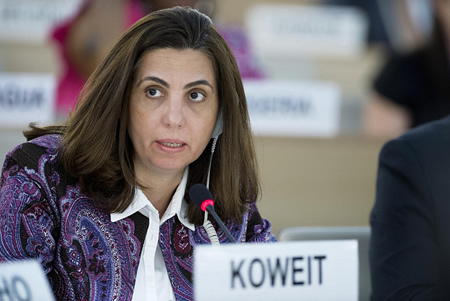 Rola Dashti, Minister of Planning and Development, Kuwait, during the United Nations Economic and Social Council (ECOSOC) High-level Segment substantive session. 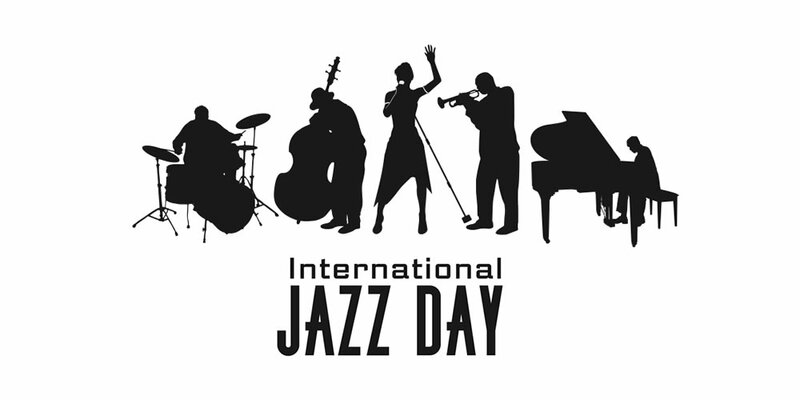 Tuesday July 2, 2013. Photo by Jean-Marc Ferre. United Nations, Geneva Office. Photo: ECOSOC 2013. 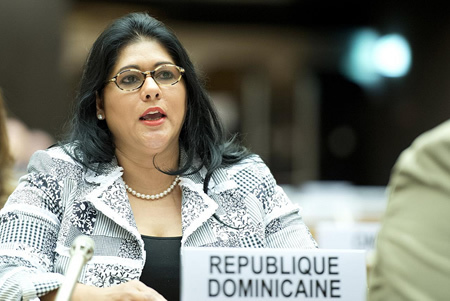 Representative of the Dominican Republic during the United Nations Economic and Social Council (ECOSOC) High-level Segment substantive session. Tuesday July 3, 2013. 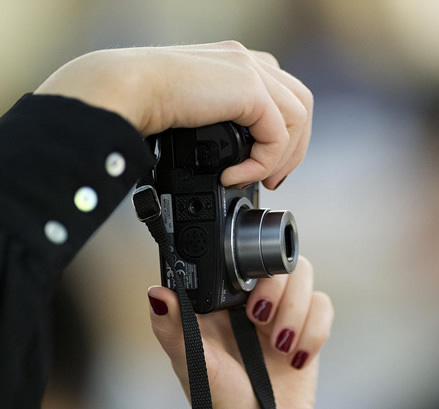 Photo by Jean-Marc Ferre. United Nations, Geneva Office. The High-level Segment of the United Nations Economic and Social Council (ECOSOC) substantive session took place at the United Nations Office in Geneva from 1 to 4 July 2013 under the theme “Science, technology and innovation, and the potential of culture, for promoting sustainable development and achieving the Millennium Development Goals”. The High-level Segment provided political leaders and experts with the opportunity to network and discuss ways of improving policy and action on linking culture to sustainable development. It also explored the use of innovation, creativity and culture to expand opportunities for inclusive economic growth, job creation, social cohesion, and partnerships among a wide range of actors. 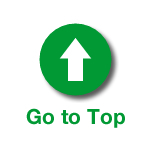 • ECOSOC is the United Nations platform on economic and social issues. 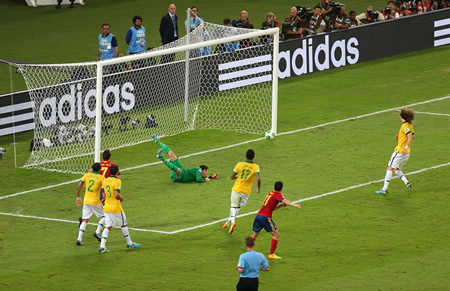 Photo: David Villa of Spain shoots the post during the FIFA Confederations Cup Brazil 2013 Final match between Brazil and Spain at Maracana on June 30, 2013 in Rio de Janeiro, Brazil. Photo © 2013 Getty Images / Ronald Martinez. 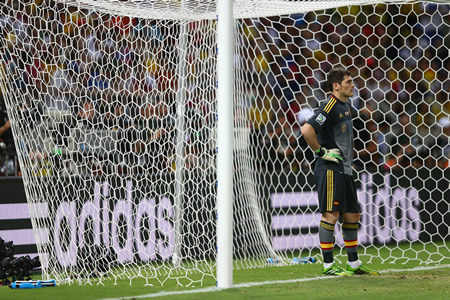 Photo: Iker Casillas of Spain looks on during the penalty shoot-out during the FIFA Confederations Cup Brazil 2013 Semi Final match between Spain and Italy at Castelao on June 27, 2013 in Fortaleza, Brazil. Photo © 2013 Getty Images / Clive Mason. 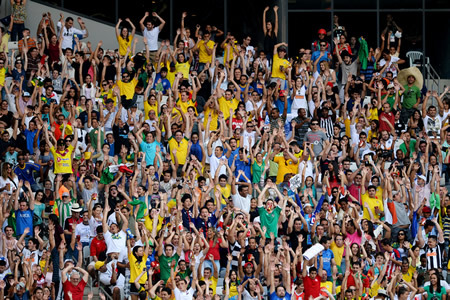 Photo: Fans during the FIFA Confederations Cup Brazil 2013 Group A match between Japan and Mexico at Estadio Mineirao on June 22, 2013 in Belo Horizonte, Brazil. Photo © 2013 Getty Images / Laurence Griffiths. Photo: Brazil v Japan: Group A - FIFA Confederations Cup Brazil 2013. 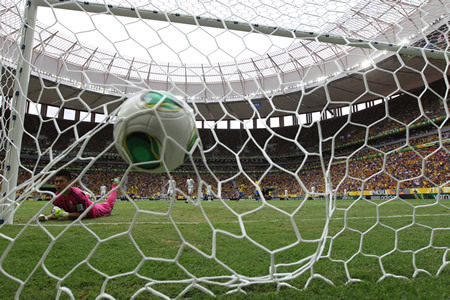 Eiji Kawashima of Japan looks on as the ball enters the goal at National Stadium on June 15, 2013 in Brasilia, Brazil. Photo © 2013 Getty Images / Clive Rose. 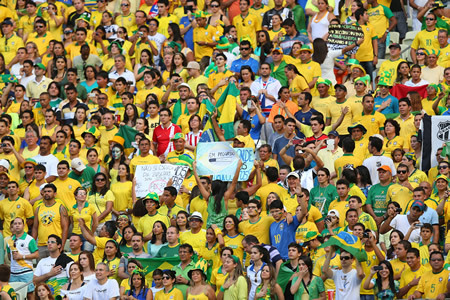 Photo: Fans of Brazil during the FIFA Confederations Cup Brazil 2013 Group A match between Brazil and Mexico at Castelao on June 19, 2013 in Fortaleza, Brazil. Photo © 2013 Getty Images / Clive Rose. Photo: Marcelo of Brazil competes with Gerardo Torrado of Mexico during the FIFA Confederations Cup Brazil 2013 Group A match between Brazil and Mexico at Castelao on June 19, 2013 in Fortaleza, Brazil. Photo © Robert Cianflone/Getty Images. Photo: Dani Alves of Brazil and Andres Guardado of Mexico fight for the ball during the FIFA Confederations Cup Brazil 2013 Group A match between Brazil and Mexico at Castelao on June 19, 2013 in Fortaleza, Brazil. Photo © 2013 Getty Images / Miguel Tovar. Photo: Dani Alves of Brazil kicks the matchball during the FIFA Confederations Cup Brazil 2013 Group A match between Italy and Brazil at Estadio Octavio Mangabeira (Arena Fonte Nova Salvador) on June 22, 2013 in Salvador, Brazil. Photo © 2013 Getty Images / Clive Mason. Photo: Thiago Silva of Brazil heads to the goal during the FIFA Confederations Cup Brazil 2013 Group A match between Italy and Brazil on June 22, 2013 in Salvador, Brazil. Photo © 2013 Getty Images / Robert Cianflone. 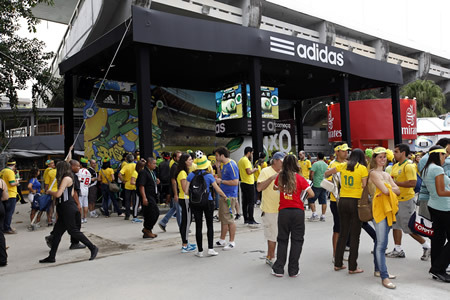 Photo: adidas marketing display during the final match of the FIFA Confederations Cup Brazil 2013 between Brazil and Spain at Maracana Stadium on June 30, 2013 in Rio de Janeiro, Brazil. (Photo Ricardo Ramos/LatinContent/Getty Images). Photo: Dani Alves of Brazil controls the ball during the FIFA Confederations Cup Brazil 2013 Group A match between Italy and Brazil at Estadio Octavio Mangabeira (Arena Fonte Nova Salvador) on June 22, 2013 in Salvador, Brazil. Photo © 2013 Getty Images / Clive Rose. 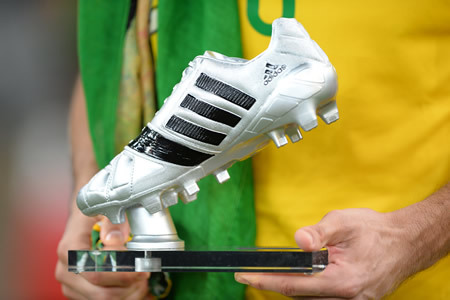 Photo: Fred of Brazil holds the adidas Silver Boot during the FIFA Confederations Cup Brazil 2013 Final match between Brazil and Spain at Maracana on June 30, 2013 in Rio de Janeiro, Brazil. Photo © 2013 Getty Images / Laurence Griffiths. The 2013 FIFA Confederations Cup was the ninth FIFA Confederations Cup, and was held in Brazil from 15 June to 30 June 2013 as a prelude to the 2014 FIFA World Cup. Host nation Brazil successfully defended their title. 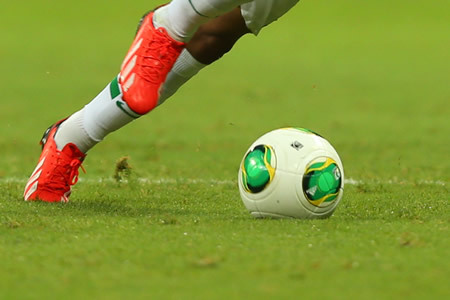 Eight national teams (Brazil, Spain, Italy, Mexico, Uruguay, Japan, Nigeria and Tahiti) played in six different cities during the biggest test before the 2014 FIFA World Cup Brazil. Brazil won the Cup defeating FIFA World Cup holders Spain 3-0 in the final match.